Sen. Bernie Sanders campaigns in New Hampshire this fall. Sen. Bernie Sanders’ name will be on the New Hampshire Democratic presidential primary ballot in February. The Vermont independent won a 5-0 ruling Tuesday from the New Hampshire Ballot Law Commission, after a local lawyer challenged Sanders' eligibility to run as a Democrat. Sanders, the longest-serving independent in Congress, has chosen to run for the Democratic nomination for president. In filing his petition to be on the ballot in New Hampshire, Sanders had to affirm that he is a Democrat. The commission’s ruling concurs. Sanders has caucused with the Democrats during his time as a senator and had previously as a member of the U.S. House of Representatives. Sanders’ campaign cheered the news. 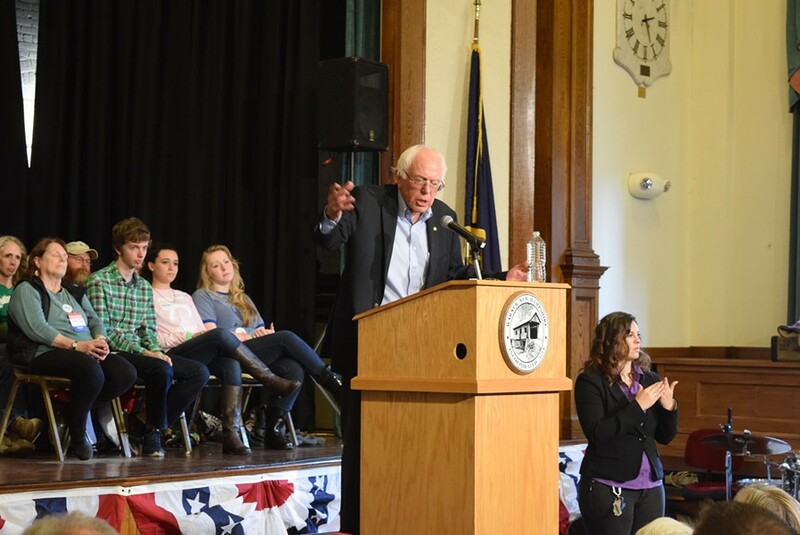 "The commission's ruling today ensures Bernie's name will be on the New Hampshire ballot, and puts this issue to bed for good," state campaign director Julia Barnes said in a press release. "For our part, we'll keep our attention where it always has been: on making calls, knocking doors and spreading the Senator's message about a political revolution that finally takes on the billionaire class to put working families first."